With a membership roster made up of 8,000 of some of the biggest machers on the Malay Peninsula, the is one of the most prestigious private golf clubs in the city-state. principal Lim Koon Park’s 130,000-square-foot winning proposal for its new clubhouse, set to open in 2022, takes cues from the natural beauty of lichen, the complex organism for which the project is nicknamed. Singapore Island Country Club by Park + Associates. Image courtesy of Park + Associates. To achieve this, his five-acre master plan negotiates between the natural topography and the built form with a trio of angular board-formed concrete “pods.” Clad in chengal, a regional tropical hardwood, the structures will serve various functions, from lounge areas to spaces for such events as weddings. They will be connected by walkways in the same wood, creating a series of courtyards. The siting of the pods will be largely dictated by existing trees, so they’ll blend into the landscape like cabins in the woods. Extensive glazing and open-air apertures enforce the outdoor connection. 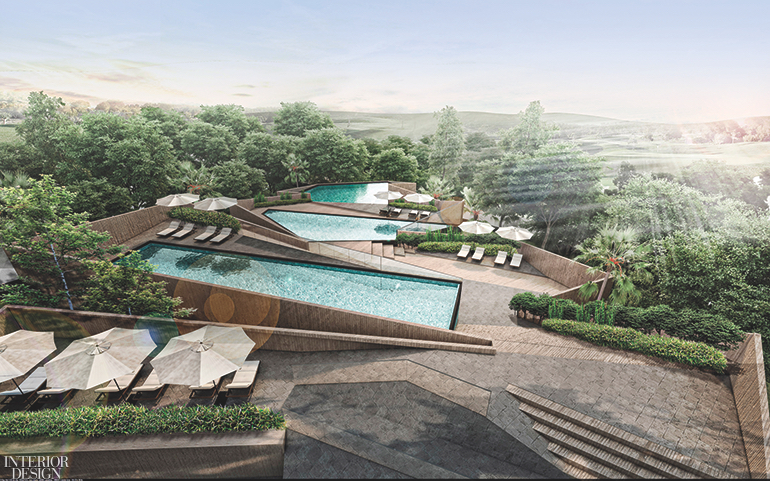 Members can literally soak up the outdoors in any of Lim’s three water features, their orientation intended to provide a cascading experience as members and guests traverse from one pool to the other. Project Team: Christina Thean; Nuntawat Tasanasangsoon; Wong Zi Xin.